"This place is so good, it's ridiculous." "Great tasting crunchy Katsu! Awesome curry! Excellent value." 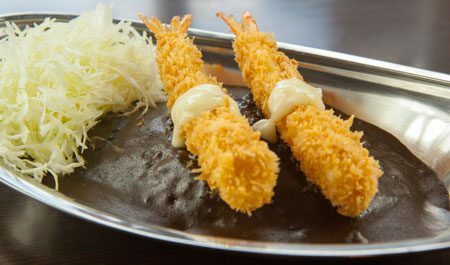 "This place hits the spot for my katsu in curry cravings. It is hearty, warm and filling." "I LOVE Go Go Curry!" Follow Go! Go! CURRY USA For Deals & Updates! Go! Go! Curry! is dedicated to providing our customers with wholesome, delicious, authentic Japanese comfort food in a pleasant dining experience that genuinely enriches the lives of our customers, employees and the overall community we serve. Go! Go! Curry offers a family friendly environment founded on the principles of excellence, empowerment and an unwavering Entrepreneurial Spirit! Visit us for Grab & Go tasty Japanese Comfort food under $10 without flying to Japan. 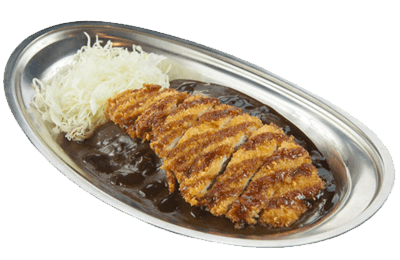 We have over 70 locations in Japan and proudly serve the same authentic Japanese Katsu curry in the United States. We only use Koshihikari brand rice - this high quality rice pairs perfectly with curry. We prepare our toppings daily, and each meal is made to order. Our tasty and original curry is exactly the same curry served at our Japan restaurants. Our staff's smiles and fast service will brighten your day. We only use the center cut of pork & white meat of chicken - high quality food at great prices! When you order any kind of curry dish, you will receive a free topping coupon for your next visit! Just enter your zip code in the search bar below and click "Go!" 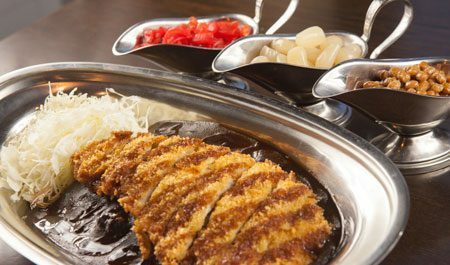 Curry is Japanese comfort food. 9 out of 10, or almost all Japanese people would say that we grow up eating curry more than sushi or tempura. Some say it is our soul food, but all families have their recipe of curry, and mom's curry is always the best! As children, we eat curry once a week at school provided lunch. Japanese curry was exported via England from India in the 18th century. That is why Japanese curry is more like stew, not like soup as in east Asian curry. In the 19th century, during the Russo-Japanese war, the first war, the people needed food that was nutritious yet easy to make in large batches. Curry over rice was the best match since we could stew anything inside, and seasoning with curry powder or mix would make it delicious. The army and marines both welcomed the food and the marines continued to eat curry every Friday on board. The veterans taught their wives when they returned home, and it helped their wives to not waste any ingredients and found it to be very versatile. The Navy self-defense forces still eat curry every Friday. Each ship has its own recipe, and there is an Annual Curry festival for civilians. Later on, it became easy to make curry at home when manufactures invented a solid curry sauce. Then it became so easy to make Japanese curry, many families would cook it at home once a week, and children would even cook curry at summer camp by themselves. Now, you can find the ready-to-cook curry at any grocery store. 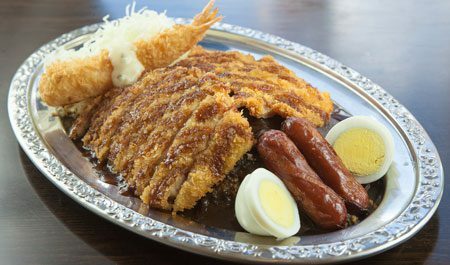 Typically, Japanese curry is served over rice or udon, and in a soup regionally. Some people prefer next-day curry. *App orders currently available for Times Square & Chelsea Stadium in NYC. 2019 Go! Go! CURRY USA. All Rights Reserved.